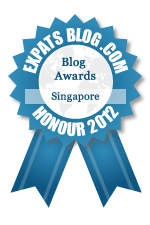 Home » Expat Blogs » Singapore » Brave, or just crazy? After living in Montreal for the past 17 years, my husband and I packed up and moved our 3 boys to Singapore. Website Reviews » There are 32 reviews on Brave, or just crazy? So funny! Love reading this, cannot wait for each posting!!! Please more! Great blog with some really excellent photography to boot! Written by someone with great sense of humor about all of the trials and tribulations of raising teen boys and all of the gritty, smelly, rough and tumble things that entails. Great travel tips as well, as the writer obviously enjoys learning about her local surroundings, and nearby vacation spots, and shares her enthusiasm with the reader. Really not just for expats, but expats will find a kindred spirit in it. Niki is a very talented writer. Although she lives halfway across the world, I feel like I am experiencing her travels alongside her through her writing and her photography. I am so happy for her and her family that they are enjoying their new life in Singapore and I look forward to their next visit home, in Montreal. I have always appreciated you humor, gift of words that make me smile, and beautiful pictures. Please keep writing and sharing. This was the first blog I discovered when I first learned I was moving to Singapore. It is interesting and well written. I am so happy to have found a fellow expat so willing to share her experiences! I really enjoy Niki's posts - and her photos are great. I love reading of her adventures. Her sense of humor keeps things interesting and entertaining. Her beautiful photographs also bring so much to the experience. She IS Brave for taking this huge step in her family's life and I love the way she shares her adventures with us. Your photos make me add all the places youvhave been to my bucket list. The stories make me laugh, thanks for sharing! Too funny and full of adventure! I miss the Goldwax's... We all do. Niki's blog has become something we look forward to reading, it's a conversation piece at the dinner table. We know Niki just well enough to hear her voice as we read the blog posts. Her humor shines thru in a great way. I'm not surprised her blog is considered "one of the best". I hope she wins a prize, bust mostly I hope she keeps on posting. Amazing blog!!! So wonderfully written!! Amazing!! I'm discovering Singapore thru her words and her photography! Love it!! Vivid, engaging, and totally relatable, Niki takes us all along on her adventures through her well-crafted words and her breathtaking photos. Love this blog! Brave or just crazy always has me daydreaming about where to visit. After reading her incredible post about Kangaroo Island, I ended up booking my family there for part of our January vacation. I love her photography and her positive, humorous outlook. Love it! So well written - looking forward to more great posts. Very nice blog! You should be a published writer! I always get excited when I see you have a new post. Your blogs are fun, honest and entertaining. Love Niki's wit and way of putting things in perspective. Very entertaining and down to earth. Niki's blog is amazing, funny, and insightful. She's obviously an intelligent and thoughtful blogger with an extraordinary brother. Hey, I'm just say'en. A refreshing and wonderfully written blog. Your adventures sound amazing. I'm living my life vicariously through your writing! I know that when I see a new post for Brave, or Just Crazy I'm going to laugh, see some terrific photography and learn something about a place I've never visited. Love Niki's posts and her sense of humor! Love this blog. Well written, witty and informative. Definitely deserves an award!! Niki's blog is always entertaining and delightful and I love her photography. She has such a nice way with words and has a marvelous sense of humor. When I see her blog plop into to my mailbox I drop everything to see what's new with Niki and her family. Lovely and touching. Beautiful insights. Niki's ability to explain her adventures to the reader is extremely insightful and entertaining. She is an accomplished writer and photographer. I feel like I am traveling with her and her family and getting a birds-eye view of the the boys growing up through the eyes of their mother. Just a great blog which I always look forward to reading. Niki writes beautifully and with great insights. I always enjoy reading this blog! You are such an awesome writer!